To make your wedding one of the most wonderful days of your life, the choice of wedding venue is essential. 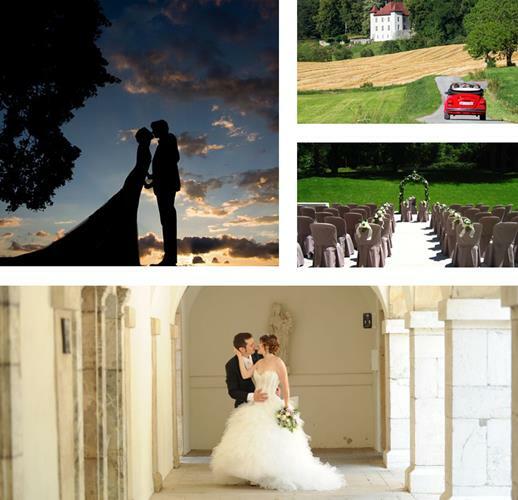 The Chartreuse de Pomier, a historic site a mere 20 minutes from Annecy in Haute-Savoie and close to Geneva, is the ideal venue for an unforgettable wedding. •Entertainment: DJ, band, concert, photo booth, etc. •Arrangements and decorations for your wedding: furniture, lights and lighting systems, marquees, stages, table linen, etc. Between Annecy in Haute-Savoie and Geneva, the Chartreuse de Pomier caters to your every need. Our team will guide you and reassure you in the organization of your dream wedding. Why limit yourself to just one wedding hall when you can use several?! The Chartreuse de Pomier situated in Haute-Savoie offers you the choice between many configurations. Each space in the domain, each room in the building, has its own special atmosphere. The ideal opportunity for the future newlyweds to imagine the dream scenario for their wedding, making the most of the different spaces to invite their guests on a “journey” through different rooms and atmospheres. •The Renaissance Lounges and the south courtyard can seat up to 190 people, and more with the gardens and setting up of marquees. Ideal for the organization of cocktails and wine receptions, these wedding halls are both convivial and grandiose, with access to the gardens to enjoy a breathtaking view over the surrounding area. •For your wedding reception, you can dine in the Renaissance Lounges or take advantage of our Medieval Cellars. Cozy and exuding charm, these cellars can seat 190 people. In a lounge atmosphere, their majestic vaulted ceilings will plunge you into an original medieval world. The Chartreuse de Pomier conceals many secrets… The Domaine, in the heart of a green setting at the gateway to Annecy and Geneva, offers you the possibility of organizing a traditional wedding, in a wedding hall, or in the midst of nature by giving you access to the park and its majestic outdoor areas. The cloisters, inner courtyards and gardens are equipped to receive up to 700 guests. Afraid of a downpour? No worries, in case of bad weather you can opt for our cozy indoor rooms or for the marquees that can be set up outdoors. We propose preferential tariffs if you wish to continue your wedding celebration by enjoying a brunch with your guests.